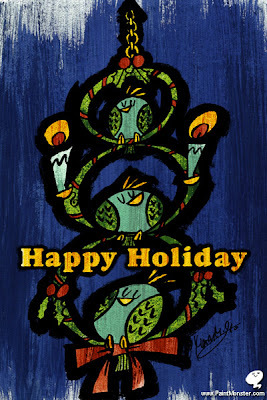 I am wishing that your special night be the happiest moment this year!! 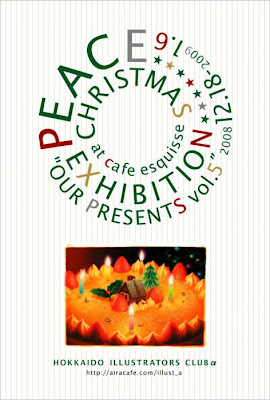 I participated in "Peace Christmas Exhibition 2008" that had been held in Sapporo. 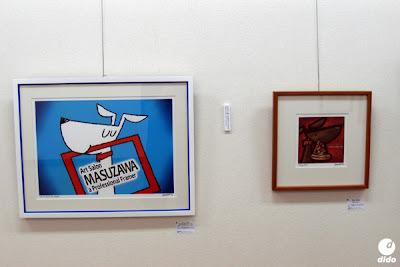 This exhibition has aimed at "The illustrator sends the message of peace with the work". I made the groundwork like the snow on a square canvas. 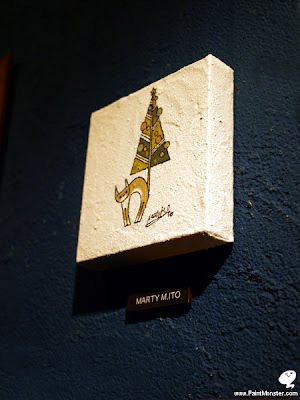 The cat drawn by the acrylic color has the tail of the umbrella like the Christmas tree. 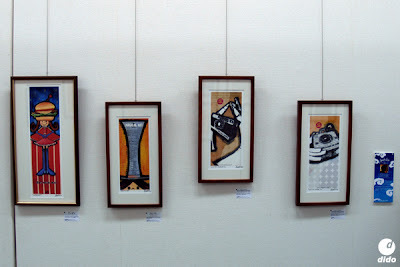 DIDO (Doodler and Illustrator Discovery Organization) of My Organization hold nu exhibition today! 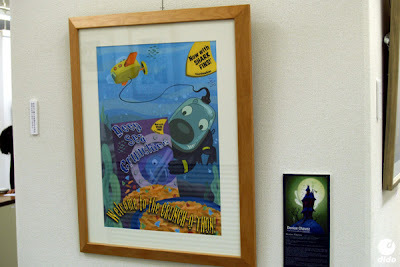 it's "DIDO25 Fictional Advertising Poster Exhibition"
illustration and design : Marina Abe. 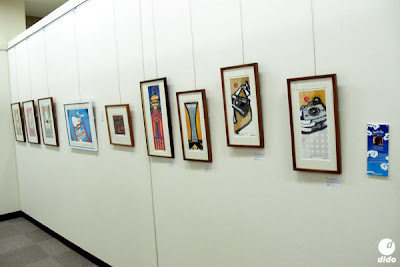 the exhibit hall is ODORI ART MUSEUM of histricul place of Sapporo. 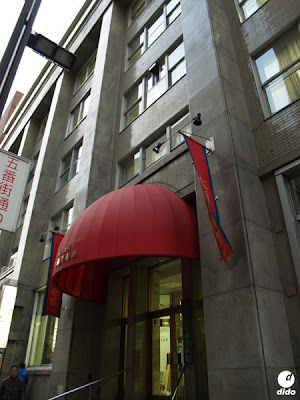 This is our exhibition area. I made the logo of DIDO and the character of the event title. 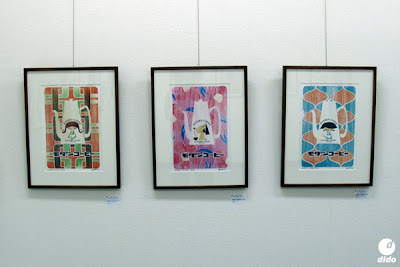 These are ads poster of COFFEE SHOP "MODERN COFFEE". I made Series posters. 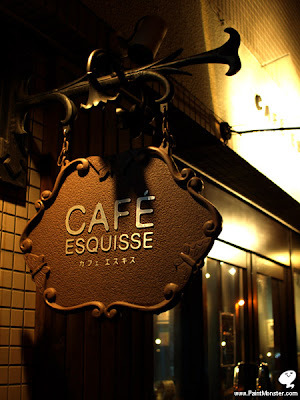 "This shop is a historicul and populer coffee Shop in Sapporo since 1968." 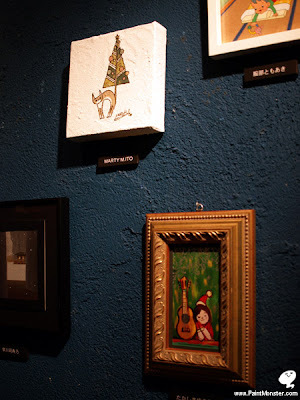 Left: Frame Shop "ADS board of Art Salon Masuzawa"
Right: Doggie Food shop "ADS panel of Pizza Dog" the Pizza for Doggies only! Left: Hamburger shop "ADS poster of Hamburgirl" Low calory organic burger shop! 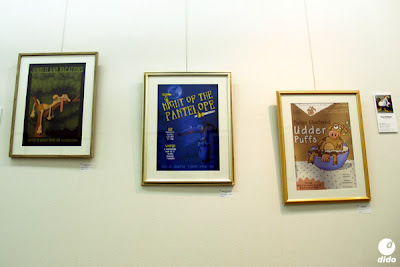 2nd Left: Stund Up Comedy "Stage information(schedule) poster of Magicul Hat"
2nd Right and Right: Magazine "LOVE TOY CAMERA of Magazaine ADS"
and this time, we got special guest art work from United State! 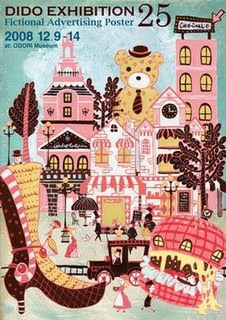 Thank you very much both big friend!!! 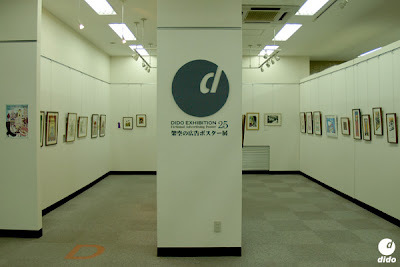 Of course in addition, a lot of works of the DIDO member were exhibited.